Profitsflow are participating in the Savannah Gateway Regional Showcase event, from April 1st to April 4th. 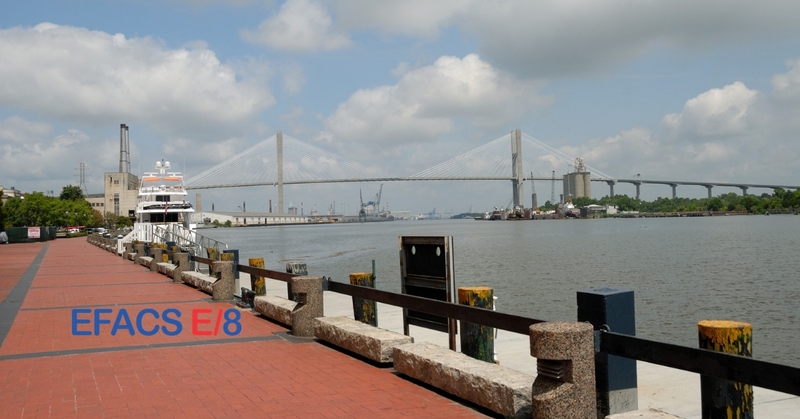 In partnership with the Tradebridge program, Profitsflow will be taking meetings while in Savannah to connect with manufacturing companies who are interested in discussing the ERP software that Profitsflow offers, EFACS E/8. Profitsflow are looking to meet with a wide range of manufacturing companies in order to discuss how the EFACS software can be applied to their business and what Profitsflow can offer as we expand into the United States. While Profitsflow will be using Savannah, GA as a base from which to develop it's US customer base, the EFACS software has already been successfully implemented across a number of US sites. Most recently, Profitsflow completed an implementation for a lighting manufacturer, Times Square Lighting, based in New York. Rob Riccardelli Jr, Vice President Accounting, said of Profitsflow, “We came across Profitsflow while looking to replace our Alliance software... Profitsflow feels more like a partner than a vendor, they are very responsive to support tickets and the time difference between NY and Ireland hardly seems to be an issue. The highly-configurable nature of EFACS put us at ease...”. EFACS helps to increase business efficiency by eliminating data duplication, cutting down on administration, and associated costs, and provides the company with one overall version of the truth. By having the whole business working from the same data, this enables more accurate reporting and better decision making based on real time information. EFACS can be used across multiple sites or companies, meaning businesses can set primary currency as the US dollar, but can still operate and trade using other currencies, in the case of potentially buying materials or selling a finished product across other countries. Profitsflow provide a full service, including project management, development, training and on-going technical support. With each ERP project, Profitsflow will help to define the project scope, objectives and goals, requirements and timeline. Training is delivered by a member of the team, to all relevant individuals. Post go live for the software, continued support is provided through the support desk. Profitsflow are travelling to Savannah, as part of the Tradebridge program. This initiative was set up to establish trade opportunities and to connect businesses in Wexford, Ireland and Savannah, Georgia, as there is a long history that links these two places. Tradebridge is fully supported by Wexford Enterprise Centre, Wexford County Council, Wexford Chamber, Enterprise Ireland, Savannah Economic Development Authority and World Trade Center Savannah. If you would like to find out more about EFACS and how it can help your business, please contact us.